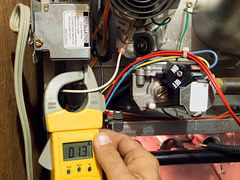 Socal AC & Heating Repair provides professional repair services for every major brand manufacturer of major appliances including: air conditioning units, commercial refrigeration units, dishwashers, dryers, freezers, refrigerators, garbage disposals, ice makers, heaters, microwaves, ovens ranges, water heaters, and washers. 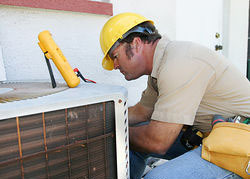 We also specialize in air conditioning repair services for residents and businesses located in the San Fernando Valley area. We are licensed and certified to repair air conditioning units from all major manufacturers: American Standard, Carrier, Bryant, Friedrich, Rheem, Coleman, Lennox, Jenn-Air, Kenmore, Goodman, Maytag and many others. Whatever your unit's brand or model, give us a call or fill out a short online order form to schedule a service appointment. As a part of our HVAC repair service offering, we service, repair, maintain and install all types of heaters for homes and businesses in San Fernando Valley. If your heater cannot maintain a comfortable warm temperature in your rooms, especially during the winter, don't delay and give us a call or schedule your appointment online. Our qualified technicians will repair heaters from all major manufacturers including Maytag, Carrier, Bryant, Frigidaire, American Standard, Goodman, Lennox, Westinghouse and others. Appliance Repair Service Area: SoCal AC & Heating Repair services extend throughout the San Fernando Valley and the surrounding suburbs. If you live anywhere in the San Fernando Valley area, please contact us for prompt service. Our Clients: We service all residential and business customers based in the San Fernando Valley. Our happy clients are growing to include landlords, management companies, private homeowners, restaurants, local markets, hotels, bars, office buildings and more. 97% of our customers return to us with their repeat business. Repair Appointments: We work around the clock to make sure your needs are met. We are open for service calls 24 hours a day 7 days a week. We offer same day service.